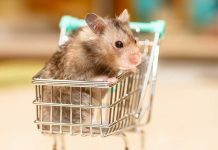 The task of finding hamster safe foods is one of the first challenges you will tackle as a new hamster owner! 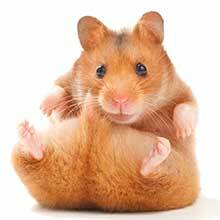 Figuring out what do hamsters eat will help you offer a balanced, varied, nutritious and safe diet that will keep your sweet furry pocket pet healthy and happy. It’s not as easy as you might think! For example, do you know the answer to “Can hamsters eat chocolate?” They can’t, as chocolate is toxic. The fact is, citrus fruits are too acidic to be safe hamster foods. Hamsters first came to the United States in 1936. These first arrivals were Syrian hamsters, also called golden hamsters or teddy bear hamsters. Syrian hamsters are the largest hamster breed and are still the most popular pet hamsters in the world today. But there are also more than 20 other hamster breeds. The most popular of these other breeds in the pet trade are the dwarf hamsters, which as you might imagine are quite a bit smaller than their Syrian cousins! 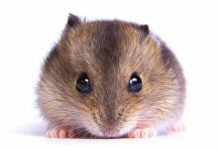 The specific breed of pet hamster you bring home really matters when it comes to choosing hamster safe foods. Dwarf hamsters have some special dietary considerations not shared by Syrian hamsters. This is because some dwarf hamsters can be quite prone to developing diabetes. So, “What can dwarf hamsters eat?” is a separate question to ask. 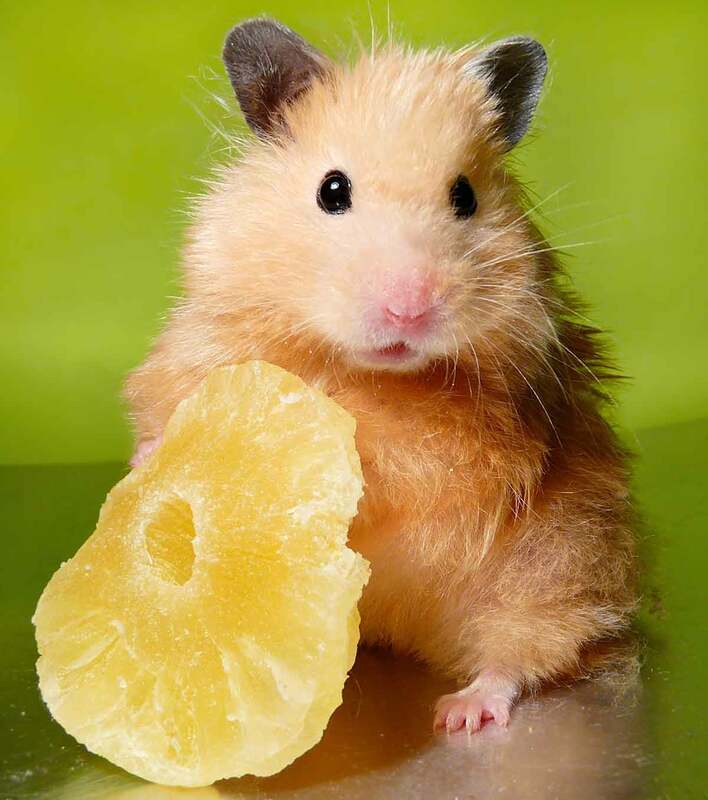 If you have a dwarf hamster, talk with your veterinarian first before offering any sweet fruit treats, since these can trigger diabetes in your hammie or make an existing diabetic condition worse. In this article, you will learn about 21 different hamster safe foods you can include in your hamster safe foods rotation on a weekly or occasional (special treat) basis. There are two kinds of almonds: sweet and bitter. The sweet almonds are hamster safe foods and can be added to your hammie’s treat rotation. However, the bitter almonds contain a building block of cyanide and can be lethal. Happily, bitter almonds are not sold in the United States – it is the sweet almonds that you will find lining grocery store shelves. Apples are safe to give to your hamster in moderation. Take care to wash the apples carefully to remove any pesticides or you can just peel them first. Never give the apple seeds or stems, which are toxic to all breeds of hamsters. Bananas have some really good nutrients and lots of fiber, which can make them a healthy addition to your hammie’s occasional fruit treats menu. But bananas are super-rich in sugar, too, so be sure to give them very sparingly or not at all if your hamster is prone to developing diabetes. Offering blueberries in small, measured portions can be beneficial to your hamster. While blueberries certainly aren’t a staple of the hamster diet, they are lower in sugar than most other fruits and deliver a healthy helping of vitamin C to support immune system function. Bread is definitely not the most nutrient-rich food you can give to a hamster. In too-large quantities, bread can also trigger the onset of obesity and diabetes in pet hamsters. But so long as your hamster is a healthy weight and diabetes-free, you can allow your hamster to sample the teensiest bit of bread as a treat on special occasions without any likely ill effect. Broccoli is a healthy, safe addition to a hamster’s fresh foods rotation. Broccoli is loaded with vitamins and nutrients and is fun to eat. As a perk, broccoli is sufficiently hard and dense to help keep hamsters’ teeth filed down. Cabbage is a nutritious, fibrous vegetable that can be a healthy addition to your hamster’s fresh foods menu. But since cabbage can be notoriously difficult to digest, be sure to offer very small quantities at first until your hamster’s digestive system gets used to it. Carrots can be a healthy occasional addition to your pet hamster’s rotation of fresh foods. Carrots are high in sugar but are also high in beta-carotene and other cancer-fighting antioxidants. Carrot tops are also safe to offer in limited quantities. Just be sure you remove all uneaten carrots and tops from your hamster’s enclosure when snack time ends to avoid hoarding and subsequent rotting. Celery can be a very healthy addition to your hamster’s weekly fresh foods menu. Celery has some lovely nutritional benefits, including anti-oxidants, fiber, vitamins and water. Just be sure to de-string the celery and cut it into hamster bite-sized bits before feeding. Cheese is a very popular food for people in most areas of the world today. However, cheese isn’t something a hamster would ever come across in the wild. However, you can still feed your hamster a bit of cheese as a treat every now and again – it has sufficiently high protein content to be a nutritious snack for your hammie. One thing many new hamster owners don’t realize is that these little furry pocket pets are omnivores like people! For this reason, cooked chicken is considered one of the hamster safe foods you can offer in moderation for protein. 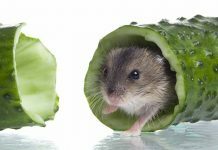 Cucumber is another one of the hamster safe foods you can add to your hammie’s regular fresh foods menu. Just be sure to wash the cucumber well and only offer small portions – otherwise, the high water content may disrupt your hamster’s sensitive G.I. tract. Grapes are one of the more controversial treat foods in the hamster diet. Some experts say grapes can be toxic to rodents, while others say the occasional grape treat is perfectly safe. However, a 2008 study published by the National Institutes of Health (NIH) states that grapes can not only be nutritious but may help prevent heart disease in hamsters. Green, red and purple grapes are fine to feed in moderation. Can hamsters eat raisins? Avoid offering raisins, which are too sticky and sugar-rich to be healthy or safe. In a discussion of what foods can hamsters eat, lettuce is one of those that tends to raise a red flag. But actually, it is just iceberg lettuce that you need to avoid. You can safely offer your hamster the darker leafy green greens like romaine, spinach, kale and dandelion greens. Peanuts are on the safe list of what can hamsters eat foods but should only be offered in very small quantities because of their high fat content. You should only offer raw peanuts and not roasted or salted or flavored peanuts. Can hamsters eat peanut butter? Peanut butter should be avoided because it is too sticky to really be safe. Hamsters can safely eat sweet bell peppers. However, hamsters cannot safely eat spicy chili peppers, which can cause G.I. tract irritation and worse. Popcorn is such a fun food! Even better, it has plenty of fiber and vitamins, which means you can add it to the safe hamster food list. But while we tend to like our popcorn with salt and butter, you should only feed plain, air popped, unsalted and unbuttered popcorn for a hamster treat. 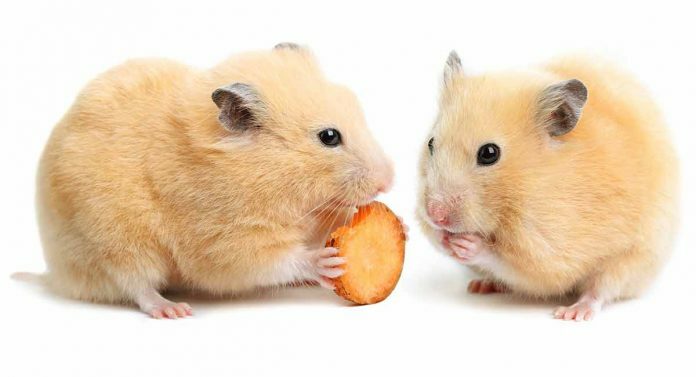 Figuring out what do hamsters like to eat is pretty easy – most hamsters are sufficiently curious to sample nearly anything left within reach, whether it is meant for eating or not! Raspberries are a good example of hamster safe foods that are low in sugar for a fruit and also high in fiber and antioxidants. Many new hamster owners wonder what can you feed hamsters from the leafy green veggies group? Spinach is a safe dark leafy green food to offer to your hamster that has plenty of vitamins and minerals. Strawberries in very limited quantities can be good for hamsters. In some research studies, data shows strawberries may even be able to fight against oral cancer and tumor growth. However, be sure to wash strawberries thoroughly and remove any uneaten fruit after snack time to avoid mold growth. Hamsters can enjoy watermelon, which can be an especially refreshing sweet treat during the hot summer months. You can also offer a bit of the rind along with the fruit but take care to remove the seeds first! But watermelon should comprise only an occasional part of the hamster diet because of its high sugar and water content. We hope you have found this guide to hamster safe foods helpful as you figure out what to feed hamsters that are under your care! Does your pet hamster have a favorite food or treat snack? Please drop us a comment to share your hammie’s favs! Tweddale, K. (2018). Hamster care sheet. Veterinary Medical Teaching Hospital UC Davis. Quesenberry, K.E. (2018). Providing a home for a hamster. Merck Veterinary Manual. Siperstein, L. J. (2018). Hamster feeding. The Humane Society of the United States. Decorde, K. et al (2008). Phenolics from purple grape, apple, purple grape juice and apple juice prevent early atherosclerosis induced by an atherogenic diet in hamsters. National Institutes of Health, 2008. English, C. (2016). The difference between bitter almonds, sweet almonds, and stone fruit seeds. Alcademics: Almonds. Next articleAre African Pygmy Hedgehogs Good Pets?